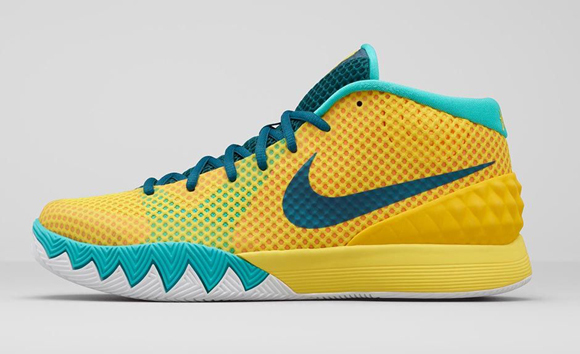 Previously known as the Tour Yellow, these are now being dubbed the ‘Letterman’ by Nike Basketball. 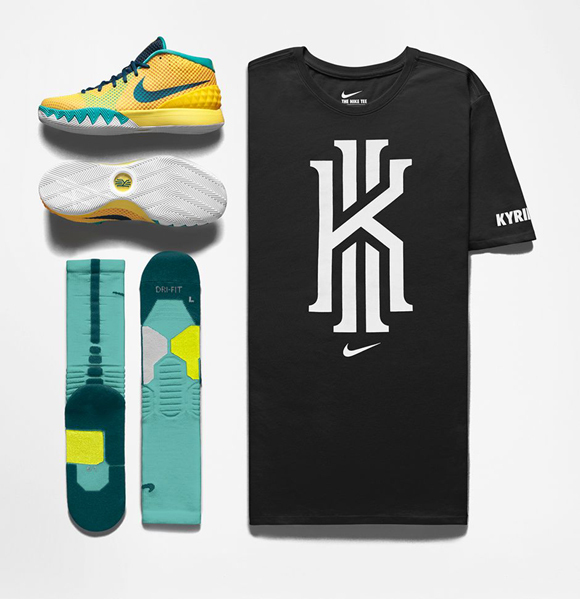 Inspired by Kyrie’s high school squad, his constant quest for new challenges and pursuit of tougher competition, the Kyrie 1 ‘Letterman’ collection features the colors Kyrie wore on his rise up the ranks. Available June 13 on Nike.com. 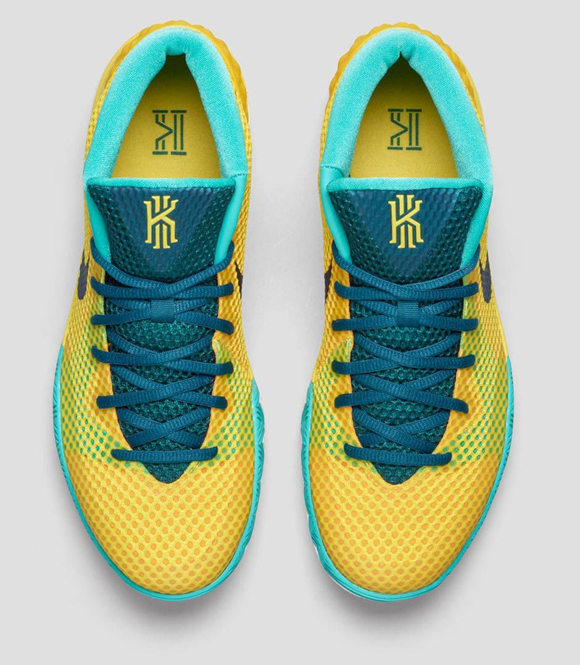 I actually like this colorway–not sure why, as I typically dislike Yellow shoes…maybe it’s the teal. Let us know if you’ll be grabbing a pair come the 13 and stay tuned for more news. They look like the “Seat Pleasant” KD VI to me! 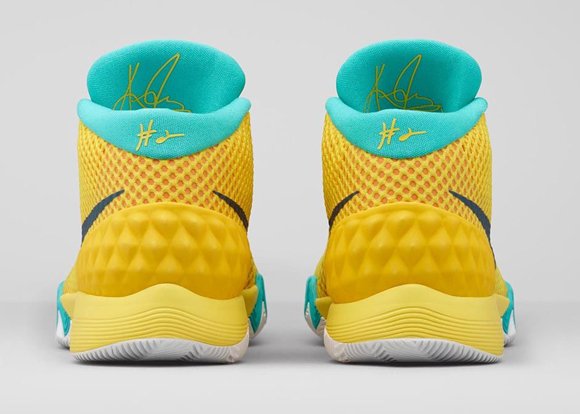 I like the basic look of the Kyrie 1 but I hate the heel support just above the the back midsole. 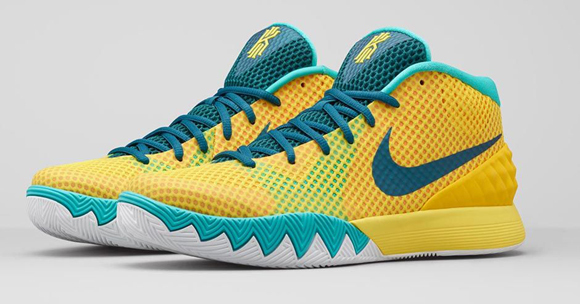 If it was smooth and not studded diamonds I would have bought the Kyrie 1 long ago. But the “punk” looking heel support made me not buy these shoes..which is too bad becuase everything else looks good. 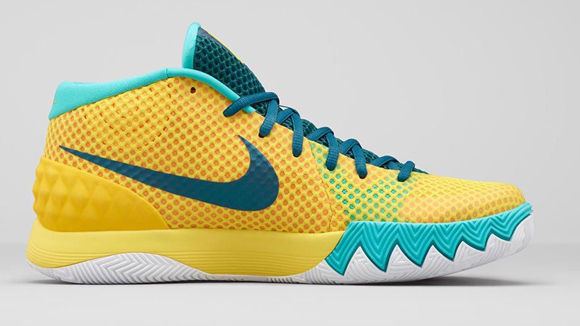 Can’t wait for the Kyrie 2. I agree. The heel counter didn’t fit quite well to the overall look of the shoe.